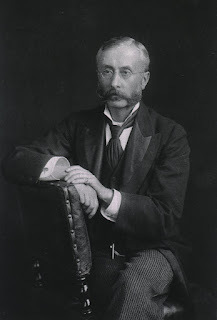 The trial of Ferrier directly influenced Wells’ The Island of Doctor Moreau. Though Wells supported the “responsible use of vivisection,” his sensitivity to its abuses is evident in his portrayal of the eponymous protagonist. Moreau’s monumental indifference to the suffering of the animals, his single-minded devotion to experimentation and his overdeveloped left brain renders him an unsympathetic character, indeed more monstrous than the hybrid characters he creates. Yet Wells also suggests that the way he was hounded out of the England by a braying band of vivisectionists who were determined to destroy his reputation may have been the source of his mental illness. It is also not clear whether he did perform cruel experiments on animals. Regardless, the novel is less about the cruelty to animals than the cruelty of human nature. This is evident by the ending when Prendick, devastated by the destruction on the island, returns to London and muses about the similarity between the vivisected animals and his fellow human beings, both of whom are controlled not by their conscious will power but by the stimuli of nature. According to Wells’ parable, the more we attempt to suppress our animal nature through human suffering, the more it re-emerges despite the laws of society that are drilled into us. 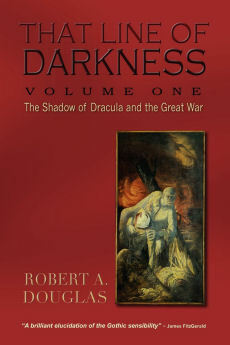 How could I have incorporated the insights from Stiles’ study into That Line of Darkness: The Shadow of Dracula and the Great War? I largely alluded to the more dubious sciences such as craniometry that measured skulls and how its practitioners influenced public policy toward crime, immigration and eugenics. Yet there are points of convergence. 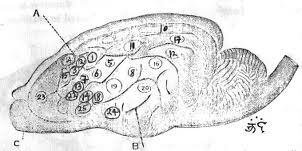 She demonstrates how commentators used the dual-brain theory to argue that the superior left hemisphere was more likely to be more prominent in upper-class European males. In other words, they too used experimental evidence to support a priori conclusions. Moreover, I think I captured Stoker’s ambivalence toward science by demonstrating the Van Helsing’s more boundary-shaking worldview was more effective in tracking down and killing Dracula than that espoused by Seward even though I emphasized more the right-brain attributes of Mina as we know them today (although I did not use that language). 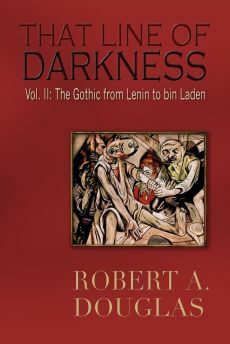 It would not have been difficult to integrate Stiles’ chapter on Stevenson and the double brain theory into my discussion of his novella given the focus on how the primitive Hyde illustrated the thinking of the Italian criminologist Cesare Lombroso and the culture’s bias against those who demonstrated the then-current thinking about the negative right-brain traits. I wish I could have added her brilliant insight into how Stevenson parodied the supposed objectivity of the left-brain scientist. I would have also incorporated her material on the Ferrier trial into my discussion of Well’s The Island of Doctor Moreau because it provides valuable context for deepening our understanding of his novel. In short, Popular Fiction and Brain Research provides a wealth of insight that might have enriched my own work. I might one day wish to write another edition.